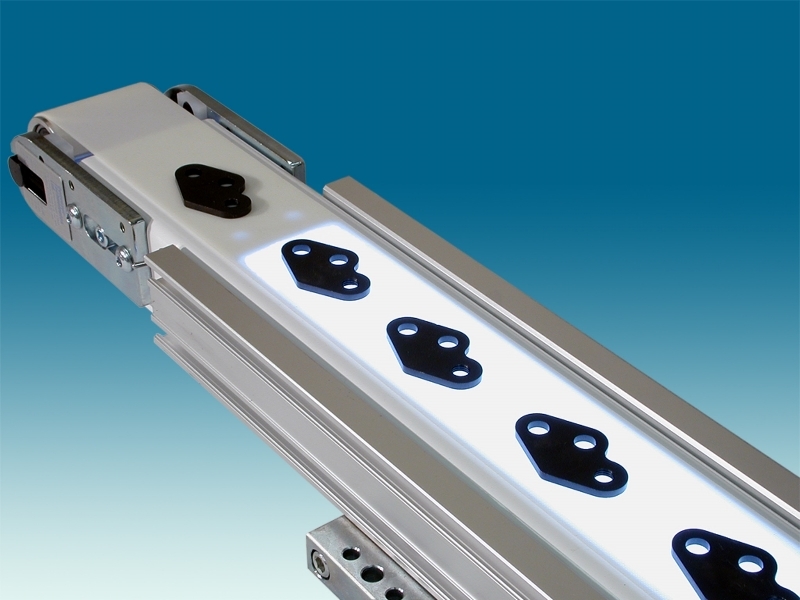 CONVEYOR TECHNOLOGIES’ LATEST ACCUVISION BACKLIT CONVEYOR brightens the way to more efficient visual inspection by incorporating high intensity “L.E.D.” Light Modules, or HIGH-FREQUENCY MICRO-FLUORESCENT for larger light areas. ACCUVISION’S New Internal Lighting Systems penetrate the conveyor’s translucent belt with an intense, uniform light field, illuminating part profile, and appearance for superior automatic or manual vision inspection. These L.E.D. Light Modules are resistant to damage induced by shock or vibration, and their freedom from frequency oscillation make them ideal for high speed digital cameras. Vastly superior service life is rated in years, virtually eliminating light replacement. L.E.D.’s are available in both white and red for improved compatibility with digital cameras, and operate on 13 V.D.C. ACCUVISION’S light field is available in eight widths (2” – 16”) and length’s to 44”. ACCUVISION’S superior illumination combined with controlled movement can contribute to defect-free products by facilitating improved accuracy and speed. Drives are available in fixed, or variable speed, as well as multiple speed operation with controlled accel / decel. A rigid single piece steel frame with extruded aluminum side rails having dual tee-slots, allows attaching auxiliary devices. ACCUVISION retains all of the exclusive features of our standard line including a one minute belt change, when mounted on our unique open stand design. Stainless steel construction is available for wipe-down applications. 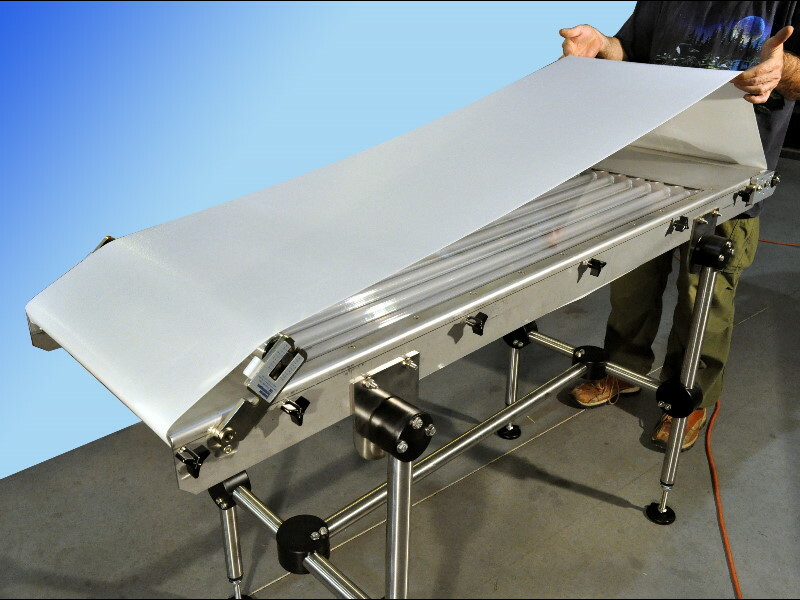 The ACCUVISION INTERNAL BACKLIT CONVEYOR is part of a patented, modular product concept that is foundation to 15 different low profile conveyor types from Conveyor Technologies. This Modular System has a two year warranty with unlimited hours, and allows extensive interchangeability of components within the different conveyor types. Units are available in U.S. or metric versions.